THE friends of one of South Devon’s best kept secret gardens are planning an 80th birthday celebration. And in the same year Tessier Gardens, hidden away in a quiet corner of Babbacombe and St Marychurch in Torquay, is celebrating its seventh Green Flag award in a row. Sally Lean, chair of Tessier Gardens Friends Group, said: “This year Tessier Garden celebrates both its seventh consecutive Green Flag award and 80 years since Mrs Amy Tessier donated the three acres of garden to the council. 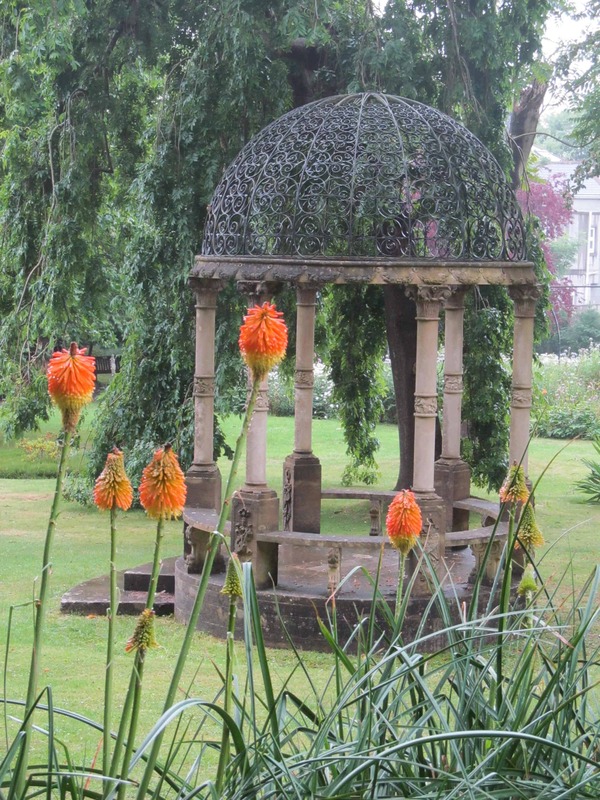 “Tessier Gardens Friends Group works with Torbay Council and its contractors to maintain this green oasis and we hope this secret garden of Babbacombe and St Marychurch never loses its essence of peace and tranquillity. “New members of the friends group are always welcome, particularly during the 80th anniversary which we plan to celebrate in the autumn. Keep Britain Tidy announced that Youngs Park in Paignton and Tessier Gardens retained their Green Flag Awards. The Green Flag Awards for parks and green spaces are similar to the Blue Flag Awards for beaches. Parks have to have high standards of facilities, safety, cleanliness, maintenance, conservation, and care of historic heritage. They are also judged on how people are encouraged to use them. The award for the small and beautiful Tessier Gardens follows extensive consultation with residents in 2007. As a result, the benches and shelters were refurbished and a new metal pergola was installed . This is the fourth award in a row for Youngs Park, which has had a vast amount of works completed thanks to the Youngs Park People and the Goodrington Action Group. The council has worked with the groups to produce a management plan for the park. The groups also worked extremely hard to maintain the conservation area and the many flower beds around the park. Cllr Jeanette Richards said: “This is an amazing achievement and really speaks volumes about the hard work that has been put in by members of staff, local residents and Friends Groups to create clean, safe and green environments that people can enjoy and be proud of.